We all know how costly (and dog-slow) the onboard Internet is on cruise ships, so we were always looking for ways to buy as cheap of a Wi-Fi package as possible to save money. When we found out about T-Mobile's free international data benefit, a feature of its Simple Choice package, we were sold. 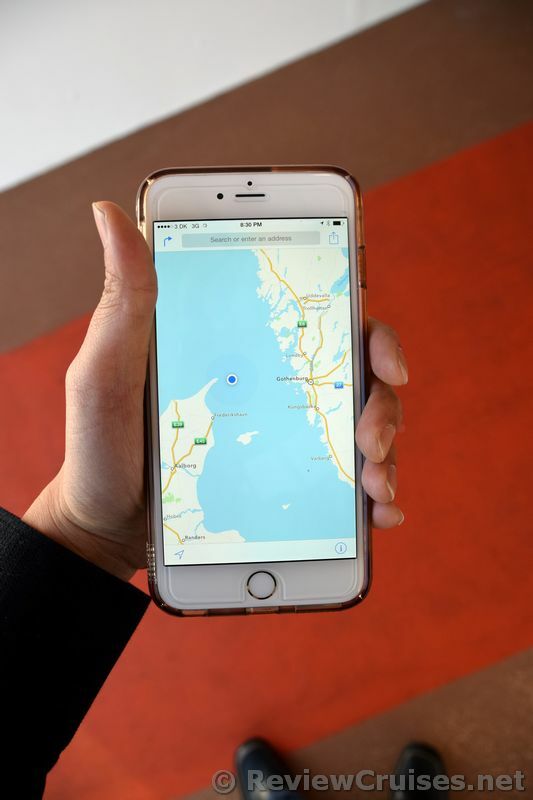 As frequent travelers, this was huge because this was not only a way to curb costs from buying internet minutes from cruise lines, but also provides crucial mapping and Google search capabilities once at a foreign country. 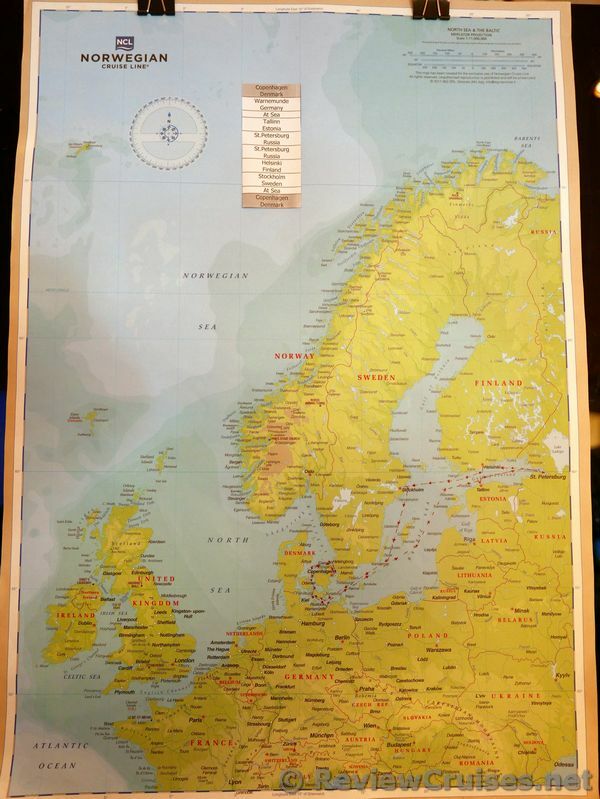 During our recent Baltic cruise aboard the Norwegian Star, we were pleasantly surprised to find that you can actually get 3G internet despite being well over 20 miles from land. 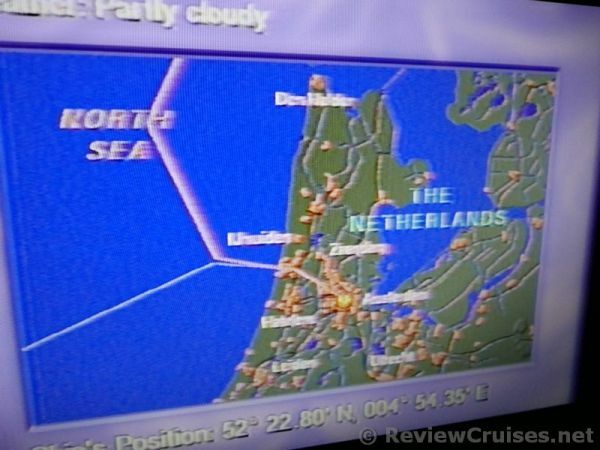 For instance, as our ship rounded Skagen, Denmark, we were able to get 3 out of 4 bars in terms of signal strength. As you can see from the image at the top of the article, the 3G data provider here was 3.dk. It allowed us to quickly checked our email and even do surf the web a bit. 1. Note the course your cruise ship on to determine approximately the time frame it will be closest to land masses, which usually translates more direct proximity to cell phone towers. You can also tune in to your ship's information channel which will show you the heading which may give you an idea of where the nearest populated land mass is. 2. Be sure to an outside deck and to the correct side of the ship. For instance, if the cruise ship is headed south, and the nearest land is to the west, be sure to go to the Starboard (right-side) of the boat. You probably will get a better signal if you go to the higher decks, such as the one above the pool. The drawback would be that the wind will be stronger there. 3. Do not connect to the ship's "Cellular at Sea" network if possible. 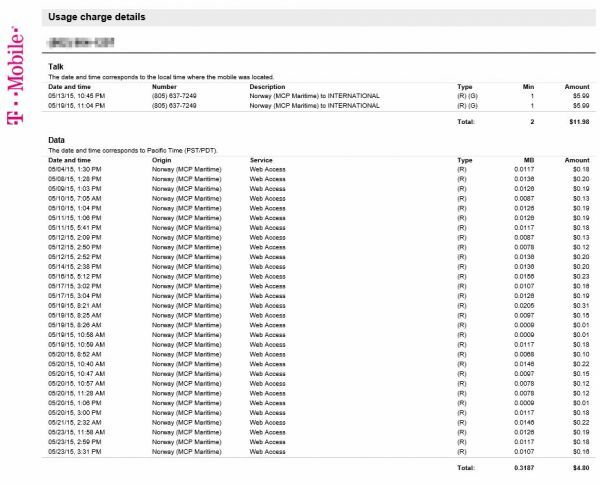 We were accessed bogus "data" charges on our T-Mobile bill courtesy of even though it was impossible to get data from the onboard cellular network. You could make phone calls but the only data you will be getting from the vessel is via Wi-Fi. For instance we were accessed fraudulent charges by MCP Maritime (see the screen shot below) for "Web Access". Also note the 2 calls we never made, accessed at $5.99 each by MCP Maritime. The number called was (805)637-7249, which turned out to be T-Mobile's voicemail number. So basically when our iPhone was turned on and we received a voicemail, even though we did not even call to check it, we still got dinged. After complaining to T-Mobile, they reversed the charges but warned that they will not do so in the future. So again, you want to leave your cellular data off until you are close to land. Also disable Background Data-refresh for apps that do it so they are not requesting data just in case your phone accidentally links to "Cellular at Sea". 4. Do as much research beforehand of the ports you are visiting so that you do not have to do more time (and certainly money) consuming research after sail-away. Hopefully these tips will help you save some precious money on Internet costs that could be better spent elsewhere like at the casino !